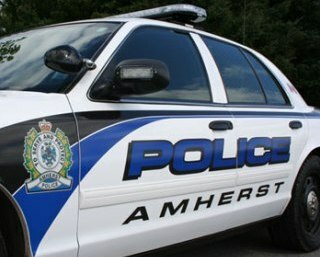 “One of council’s top priorities has been to conduct an in-depth study on the costs of policing in Amherst,” Mayor David Kogon said. “By doing these studies and making the decision we made tonight, council has done its due diligence and will continue to do its due diligence on one of the town’s major cost drivers. Acting police chief Dwayne Pike welcomed the decision to keep the local force. “Providing a service to the Town of Amherst includes being fiscally responsible and ensuring operations are efficient,” Pike said. “The needs of the community can only be met when they are accurately identified, an effective strategy is designed and proper resources are allocated. The Amherst Board of Police Commissioners previously passed a motion supporting the reports. The reports - Amherst Police Sustainability Review Report and Policing in Amherst Today - looked at policing cost drivers on a national and local level, summarized the services currently provided by the local department and examined the cost of each of those services. In addition, the reports studied the cost of providing those services over the next 10 years and estimated the costs would rise a further 21 per cent over the next decade, resulting in policing costing almost $850,000 per year more in 10 years than it does today. The operating budget for the 2018-19 fiscal year is just over $4.2 million. In recommending the town not pursue the RCMP option, the report noted there were uncertainties around the cost for the RCMP as its staff is moving forward with unionization, the potential impacts to service by moving from the Amherst Police Department to the RCMP is not fully understood and there has been at least one recent case were a municipality voted to end its contract with the RCMP and create its own municipal force. The report also noted correspondence from the Public Safety and Emergency Preparedness Minister that indicated the RCMP is unable to respond to requests to provide municipal policing at this time. “These reports allowed us to look at policing costs from a macro and micro level,” CAO Greg Herrett said. “Going forward, having town and police department staffs working together will allow us to find efficiencies that could result in budget savings, place the focus on internal rather than external solutions and ensure continuous improvement as well as an opportunity for a deeper level of review on what we deliver and how best to deliver it. This, in turn, will provide a process to engage and educate the community should the services provided or service levels change. Tom Wood, president of the local, acknowledged the cost of policing is an issue for municipalities across Canada. The reports are available on the town’s website at amherst.ca/police-department.html.